Marian started skydiving in 2006 and now has almost 2000 jumps. She has competed nationally in 4-way and 10-way speed star teams and is a member of Parachutists Over Phorty (POPS) and Skydivers Over Sixty (SOS). As a USPA Certified Coach, she uses video and patient, comprehensive instruction to help new jumpers learn to fly their body. She has also participated in numerous 100 way plus formations. 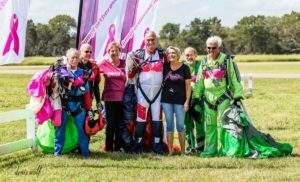 Living in Baytown, Texas, she calls Skydive Spaceland home. 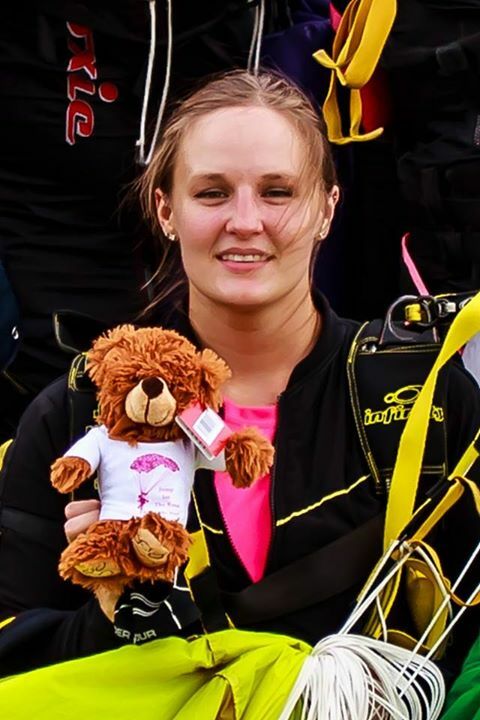 As President of Jump For The Rose, not a day goes by that she is not working on something for this non-profit corporation that has become as much a passion as skydiving. She often fields calls, TXTs and posts for JFTR while she works at her day jobs as both a nail technician and dental lab artist! In 2012 she became one of the four faces of the Susan G. Komen National Advertising Campaign and has had the opportunity to meet many wonderful people who support them including Laura Bush! 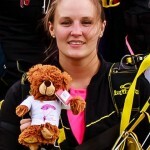 Leah started skydiving in 2003 and has 1400 jumps. She has participated in competitive 8-way on the state and national level as well as 20-way, 40-way and many other invitational’s over the years. She has been a part of numerous P3 100-way invitational’s and was a member of the Texas State Record 150-way in 2007. Leah was also an organizer for Skydive Spaceland and other various boogies, including SkyFest for 3 years. Leah is married to her best friend, Matt Bessonette who has worked as a coach, videographer and tandem master for Skydive Spaceland for over a decade. 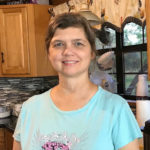 Leah is currently President of Cornerstone Insurance Agency, Inc., Vice-President of JFTR and also finds time to sit on the Board of Directors for the Greater Houston & South Texas (BBB) Better Business Bureau. Lyn graduated from Texas Southern University in 2009 with a bachelors degree in Accounting. She has been the owner of Skydive Spaceland Houston’s Deli since 2012. Her participation in various Jump For The Rose events and the first annual Crawfish Boil at Skydive Spaceland Houston has been priceless. She is the mother of two beautiful children and five grandchildren. She loves everything that JFTR represents! Virginia has 17 years’ experience in education and a Master’s degree in Educational Leadership. Virginia started jumping in 1998. She has 250 total jumps. While she no longer jumps, she is still a big fan of skydiving and enjoys working with Jump For the Rose. Robin began skydiving in 2011 and is closing in on 1,000 jumps and has 40+ hours in indoor skydiving wind tunnels. She has competed in Collegiate and National skydiving events in multiple disciplines, is a UPSA coach, a Sisters in Skydiving “Big Sister,” holds several Texas State and US National records for high altitude jumps and has broken her own records. 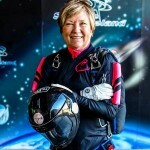 She is a rated Formation Skydiving and Canopy Formation judge and has participated in numerous Invitational events, 20-way competitions and indoor skydiving tunnel competitions. She coaches, organizes and mentors at her home drop zone, Skydive Spaceland near Houston. Robin’s life outside of skydiving sees action as a registered nurse in the emergency department at a Houston area high-level trauma center. She is also a general aviation enthusiast, SCUBA diver and accomplished horseback rider.